Rediff.com » Getahead » Credit card vs personal loan: What should you opt for? Credit card vs personal loan: What should you opt for? We are all aware of both credit cards and personal loans. Credit cards are easiest way to buy something or incur small expenses, and pay later. Credit cards are issued by bankers and carries a limited amount of credit that the card holder can avail. Credit cards’ billing is done as per billing cycle of the bank. Customers can make payments as per cash available with them. If they miss their due payments by a certain due date they are charged penal interest and fees. So, in other words credit cards help borrowers use money for an unlimited period of time with costs attached. Personal loans are unsecured loans offered by bankers to fund larger expenses like say holidays, hospitalisation, home improvement, etc. Unsecured loans are those for which borrower doesn’t have to mortgage any assets or offer any security. Personal loans are ideally bigger amounts. 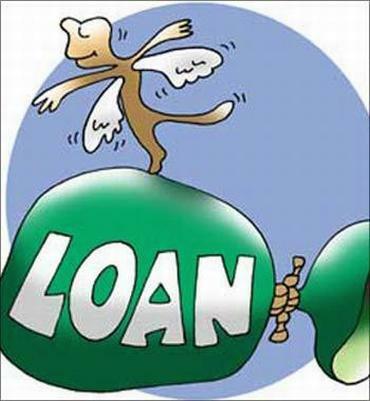 Personal loans carry a limited tenure with fixed repayment schedule of equated monthly installments (EMIs). The question faced by the common man is how to choose between these two options. Borrowers normally make a mistake in choosing a right option. This is a primer on credit cards vs personal loans for potential borrowers to make a correct considered decision. Credit cards are best for making smaller expenses like daily purchases, shopping, and dining etc. against which customers can also earn reward points, and the said outstanding can be paid off on or before due date or within a few months thereon. Personal loans are best for larger expenditures, like say, of Rs one lakh or more, or for consolidating all smaller credit card debts. Personal loans are suitable for a longer tenure of more than a year and can extend up to two to three years. As credit cards come without any end date and any predetermined repayment schedule, interest rate charged on credit card outstanding is higher than personal loans. However, while personal loans have an inflexible minimum payment schedule, credit cards prescribe payment of a minimum amount and balance amount can be carried forward at a cost. So despite outstanding on credit card carries higher rate interest, if a borrower is not sure of her/his ability to repay the amount within a prescribed period of time in predetermined amounts, then the borrower can choose a credit card over personal loan. Balance tilts in favour of credit cards due to ease of availing credit as compared to personal loans. Borrowing through credit card is simple. Borrower just needs to swipe the card at the outlet where s/he wants to spend. Against that personal loans are sanctioned after a formal loan application is made in prescribed form and submitted to bank with all supporting documents. Banks would then take time to evaluate credit worthiness of the applicant and her/his repayment capacity and then sanction the loan. So, credit cards are best for immediate spending whereas personal loans are best in case large ticket expenses are planned. One exception to this rule is sudden hospitalisation expenses that can be initially incurred by swiping one or more credit cards and then borrowers can apply for a personal loan and work out a balance transfer or consolidation of various credit card debts. The biggest danger with credit cards is they encourage impulse spending and allows unlimited tenure for repayment. The borrower can keep spending more and more and would get stuck in a debt trap. Against that, a personal loan is more disciplined borrowing where a borrower cannot borrow a new loan without repaying the old loan or having creditworthiness of making timely repayments on outstanding amounts. Also banks evaluate the quantum of existing outstanding personal loans to decide whether new loan can be disbursed to the borrower and whether s/he can repay it or not. So the person never gets into a debt trap in case s/he opts for a personal loan. Credit cards can be used even when a borrower doesn’t have steady cash flows to repay the amount quickly or over a predetermined period of time. Hence credit cards are preferable in small ticket transactions only. Personal loans are far more suitable for large ticket transactions. So next time you have to spend choose correctly between swiping and applying. Rishi Kapoor: The Bombay Velvet trailer works! Rowdy Rathore, Holiday, Baby: Akshay Kumar's TOP 10 action scenes!